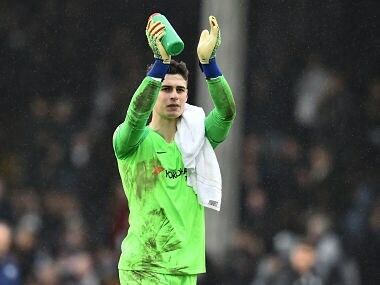 London: Jorginho fired Chelsea to a 2-1 win at struggling Fulham on Sunday as Blues keeper Kepa Arrizabalaga began to make amends for his Wembley mutiny with an impressive display. Maurizio Sarri's side took the lead through Gonzalo Higuain before Calum Chambers equalised at Craven Cottage. 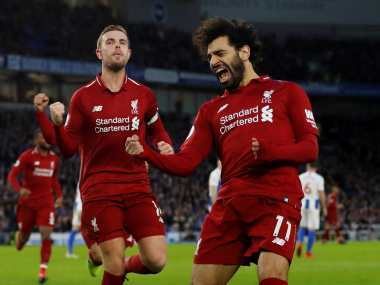 Chelsea were also indebted to Kepa for a series of superb saves that preserved their lead after the break, lifting the sixth placed Blues within two points of fourth placed Manchester United. Despite an improved display in caretaker manager Scott Parker's first game following the midweek sacking of Claudio Ranieri, second bottom Fulham have lost eight of their past nine league games and sit 10 points from safety. 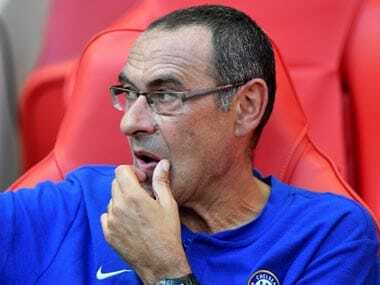 Sarri's decision to restore Kepa to the team was a gamble that could have backfired as Chelsea made a nervous start. After Ryan Babel's cross opened up the Chelsea defence, Cesar Azpilicueta threw himself in the path of Tom Cairney's goal-bound shot, with the rebound falling to Joe Bryan, who curled wide from the edge of the area. Kepa's return almost started in embarrassing fashion when he made a complete hash of catching Kevin McDonald's cross in a swirling wind, the ball slipping through his grasp as he was challenged by Babel. It would have been an open goal for Babel, but the Fulham winger was slow to react and Kepa scrambled back to dive on the ball. Chelsea made the most of their escape to take the lead in the 20th minute. Willian's pass picked out Azpilicueta's run down the right and Chelsea's captain whipped over a cross that Higuain met with an instinctive volleyed finish. It was Higuain's third goal in eight games since the Argentine striker joined on loan from Juventus in January. Kepa redeemed himself with an acrobatic save to keep out Aleksandar Mitrovic's volley from Ryan Sessegnon's cross. From the resulting corner, Chelsea were punished for an awful piece of defending as Fulham grabbed a 28th minute equaliser. Chambers was left totally unmarked when Fulham took the corner quickly, Babel picking out his team-mate at the far post for a well-taken finish. That blow was a test of Chelsea's fragile morale, but to their credit they produced an immediate response three minutes later. Eden Hazard was the catalyst with an incisive run into the Fulham area, the Belgian laying the ball back to the Jorginho, who guided a superb strike into the top corner from 18 yards. Higuain should have increased Chelsea's lead when he ran onto Jorginho's long pass, but his shot was woefully off the mark. 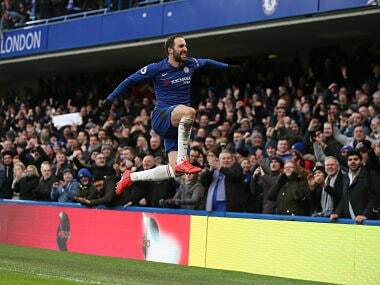 Fulham were finding it impossible to stifle Willian and Azpilicueta down the right and the pair combined to tee up Higuain, whose powerful strike drew a brilliant one-handed save from Rico. Exploiting the space left by Fulham's creaky defence, Hazard and Willian both tested Rico with low drives soon after the restart. Even with the perennially inconsistent David Luiz left on the bench, there were still moments of uncertainty from Chelsea at back. Mitrovic blasted just over from 20 yards and Cairney's long-range effort forced a good stop from Kepa. 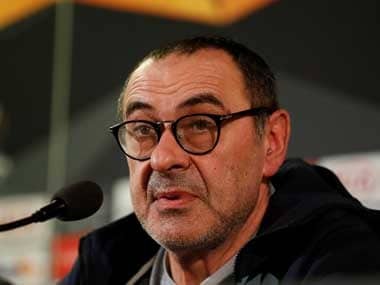 Bryan forced Kepa to make another solid save and the Spaniard was firmly back in Sarri's good graces by the time he repelled Mitrovic's late header. Sessegnon thought he'd equalised in stoppage-time, but the winger's goal was ruled out for offside.